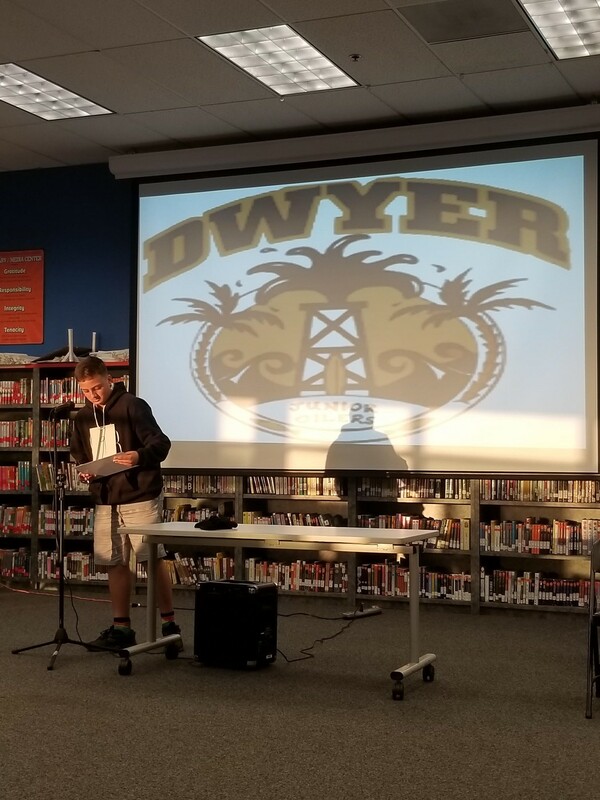 On Wednesday evening, Dwyer students competed in the 3rd annual school Spelling Bee. There were preliminary tests given in Core classes to qualify a number of students to the actual bee. 19 students participated in 17 rounds of spelling words that became increasingly more difficult. 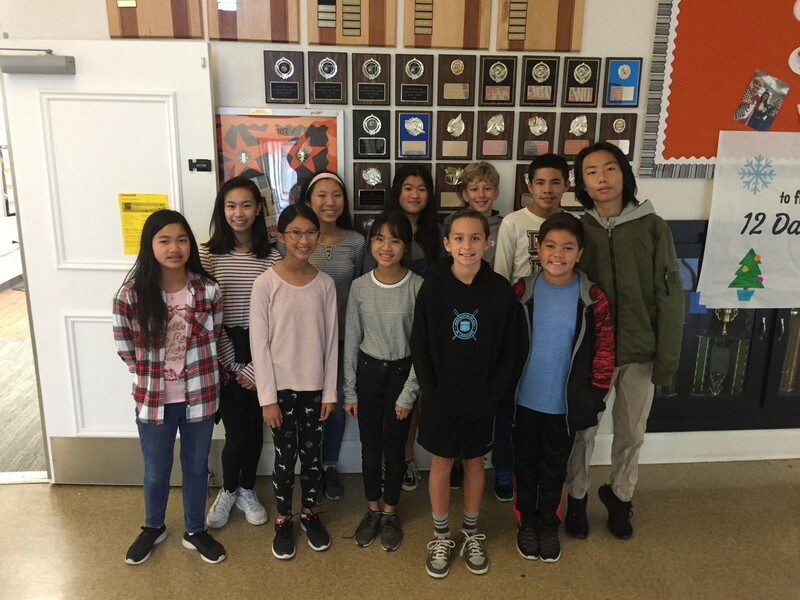 The top 7 finishers move on to the District Spelling Bee in January. Congratulations to winner, Courtney Tonnu, and runner-up, Emily Chen. The other 5 finalists that will move on are Makayla Herrera, Chloe Nguyen, Ryan Ramirez, Arin Vansomphone, and Benjamin Weil. Pictured below are some of the participants. 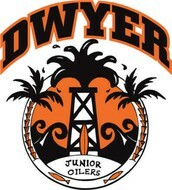 Great job, Jr. Oilers! 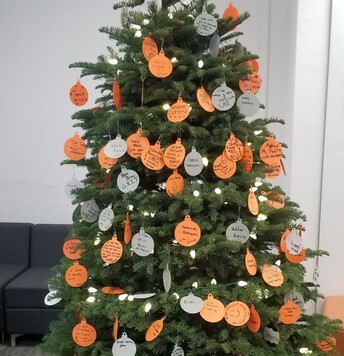 This week, the GRITmas tree really filled up with ornaments of challenges! 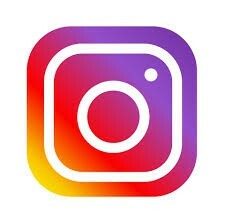 The Integrity challenges, taking place from Thursday through Monday, are Operation Santa Claus (bring an unwrapped toy for a child in need), organize your bedroom or your backpack without being asked, and go without your phone (other than parent contact) for 24 hours. These challenges can be done over the weekend too! Our 12 Days of GRITmas will conclude next week with 3 days of Tenacity on Tuesday-Thursday. Students can challenge themselves to study for 30 extra minutes on a subject that needs more attention or make up any zeros they may have. They can also participate in Spirit Week by dressing up for one or more of the days. The final Tenacity challenge is to say hello to at least 10 students you do not know. Let's finish GRITmas by creating lots of cheer! 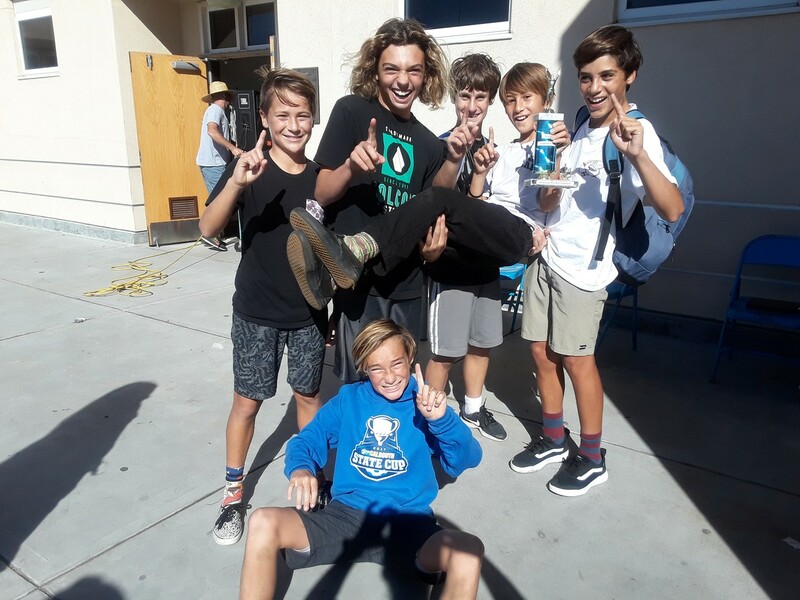 Congratulations to the 4th period Intramural Football champions! Make sure to listen to announcements for upcoming tournaments during both lunch periods. 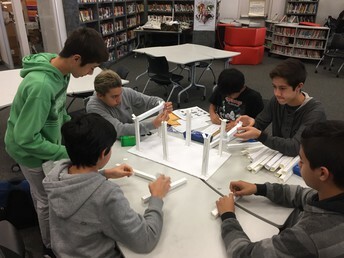 8th Grade scientists are working on applying Newton's Law with the focus on force and motion. Groups are building their own roller coasters and testing them out! 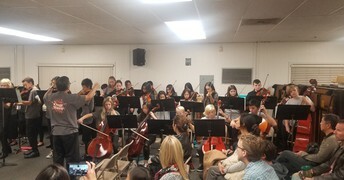 Dwyer's String Orchestra was invited to play at the HBCSD Board Meeting on Tuesday night. 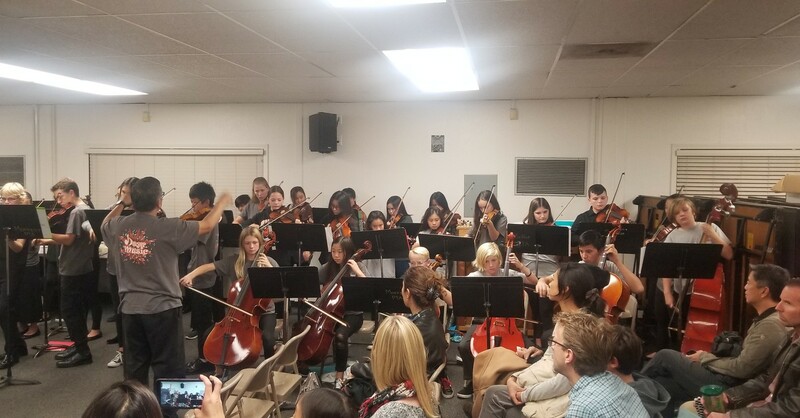 It was Board President, Rosemary Saylor's, last meeting on the Board and the orchestra played beautiful music during her reception. 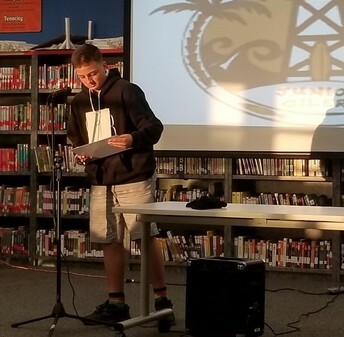 Sean M. is pictured here in one of the early rounds of the Dwyer Spelling Bee. Students spelled increasingly difficult words in many rounds until a champion was named! 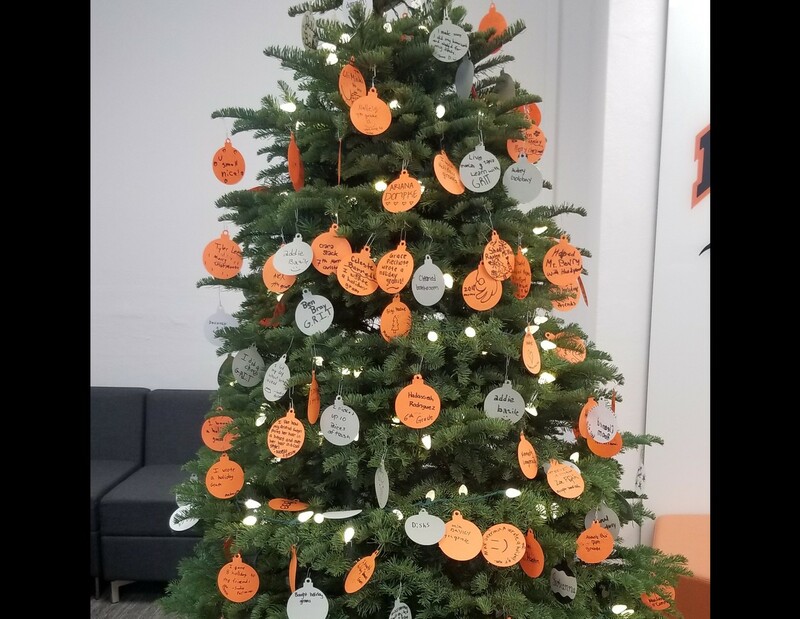 Our GRITmas tree really shows how much students are embracing the holiday spirit. There have been so many good deeds revolving around GRIT. Let us all remember that we should show these values all year long, not just near the holidays! 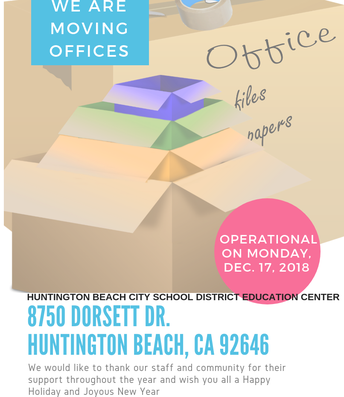 Does your child have a favorite teacher or a school employee who goes above and beyond? Do you know a Dwyer educator or school employee who gets an A+ in every area? 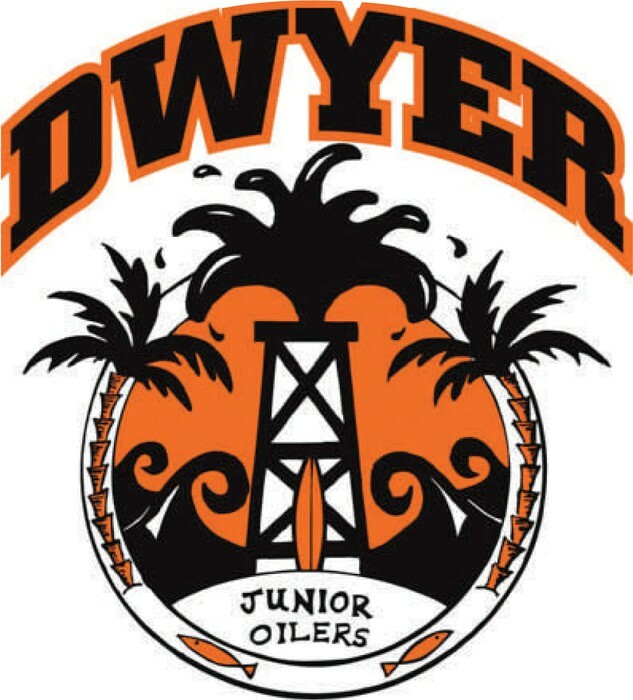 Let's nominate some of Dwyer's finest in the Parenting OC Magazine's School Heroes of 2019! 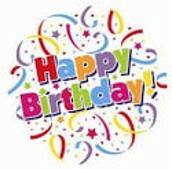 You can nominate for Top Teacher, Top School Employee, or Family Favorite. The deadline is December 22, 2018 and the top candidates chosen will be featured in the March issue. Please see the nomination website for more information.